Hi guys, I started botting on a Vanilla server recently as a NF hunter. Since the last update, the bot keeps selling stuff I put in the "Do not sell List". The item in question is "Haunch of Meat", which I need to feed my pet. I verified if the spelling was correct and it is. After launching the bot, I checked to see if the item still was on the "Do not set list", thinking that a plugin may have overrun it, and it is still present. I though that maybe the bot was using the food super fast and no, I actually saw him vendor the item. Any suggestion of what I can do? 🙂 FYI, here's what I am using: Profile: Alliance Bambo's Vanilla Grinder FC: Ordush's Beastmastery Plugins: - HMP (latest version) - VFM - AutoPetFeed (latest version) - Vanilla Clam Opener -Auto Decline - HighestSpellRank - iTalents - WhatsGoingOn Thanks for your help, Cheers. Hello everyone, I started using FNV’s profile daily a month ago on an alliance frost mage and I wanted to do a quick review. Before anything, here is a list of the different tools I used during my levelling process: A Proxy using ProxyCap (cheers to @Ordush for the guide!) Fight Classes: - Free FC from level 1 to 19. - Matenia’s FC from 20 to now, I felt it was more complete than the Free FC (although it’s good for a free one). Plugins: - WhatsGoingOn - HumanMasterPlugin - Vanilla Flight Master - iTalents => super useful - Traveler => used only a few times but still worth mentioning - AutoDismount - Auto Decline - Vanilla Clam Opener (Mostly when using Bambo’s) General statistics: - My toon got to level 45 after 10 days 17 hours played time. - I got my mount at level 41, I almost had enough gold at level 40. I did the travel to the riding master manually. Keep in mind that it can be done with the profile, but it requires something like 105g on the toon and I didn’t want to wait to have this amount. My levelling strategy: Using Relogger: Around 8 hours per day, 5-6 days a week with a 30 minutes break to simulate lunch, sometimes a couple of hours in the evening and a couple of hours from midnight to 2AM. I don’t think I have ever used the bot more than 12 hours in one day, which is a lot when you think of it. Logically it should be faster to use it 16 hours per day but IMO it’s just way too much. Manual interventions: Some quests: - The quest Ruuzel in Ashenvale because my toon had trouble dealing with 3 mobs (Probably due to my toon being a mage, should be fine with a Paladin for example). - The entire Stonetalon part, it took me an hour or so, this place is pure AIDS for Alliance. - The gathering quest Gahz’ridian in Tanaris where my toon was just passing by the quest objects without gathering. - There’s still work to do on the Searing Gorge part. My toon fell (or went?) into the Cauldron, kept dying in the lava and chain died for a full day. I don’t know if it’s possible, but this zone should be avoided. Tailoring (around 2-3 hours spent of the profile dedicated to it). Buying equipment from the AH (frost wrath stuff mostly, also some dreamweave). 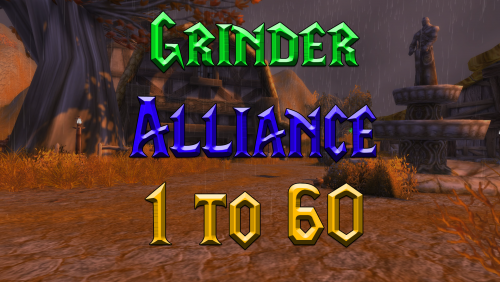 Extra stuff I used: - Bambo’s Alliance Grinder : I used it one to two hours every few days to get some advance on the levelling process or to get some gold. I also used it instead of some of FNV’s grinding areas. I think Bambo’s are more optimized, even if the toon farms green levels. For example, there is a grinding session in Feralas where the toon farms on water elementals and mobs that silence, it is just not optimal for a frost mage. Another example is the grind to 48 in Azshara, the toon focuses on mobs up to level 50 which can be a problem for classes like warrior or mage. Also, these mobs (Hippogryphs) do huge damages with their thunder spells. As a result, the toon dies often which triggers the Resurrection Sickness option from HumanMasterPlugin and you end up taking a huge time to grind one level. - TeamViewer: this program is used to remotely control your computer. I used it on my phone from work once every two hours or so. Bear in mind that it’s not advised to use this program in conjunction with the bot because it screws up movement. However, I think it helped my toon from being flagged (well, I hope…). For example, when he had to go to the Stormwind Mage Tower for training or quests, it usually bugged. My toon was getting stuck at the bottom of the tower or couldn’t find his way and I found him jumping around weirdly. If possible, use the WRobot Remote option instead of TeamViewer, I don’t think you can use it with a phone though. Pros: - This profile resembles what a regular/casual player would do, despite some weird stuffs happening from time to time (e.g. gathering quests where the toon goes back and forth from the object). - Very frequent updates, one every 2 or 3 days, if you consider taking this profile check FNV’s discord often! These updates include bugfixes and improvements on the profile (the profile now goes up to level 55 I think). Also, an auto-update feature is to come. - Very good support, FNV answers super-fast and when he’s not available you can also get help from his discord community. Cons: - Lots of deaths (I expected this honestly, mages are graded 2/5 on the profile description) => this resulted in a long levelling process. It would have probably been better with another class like hunter or warlock. - Some bugs and manual interventions here and there. Also, I feel like the profiles from 45 to 55 need more optimizations, which I’m sure will come in the upcoming weeks. Conclusion: For a work in progress, this profile is a must have. I'm giving it a 4/5 because there's still work to do but honestly it's on the right pass. My toon levelled smoothly and regularly, like an average player would. We have regular updates, good support and I didn’t find a lot of bugs. Also, to me, the time I spent doing manual interventions wasn’t too long. 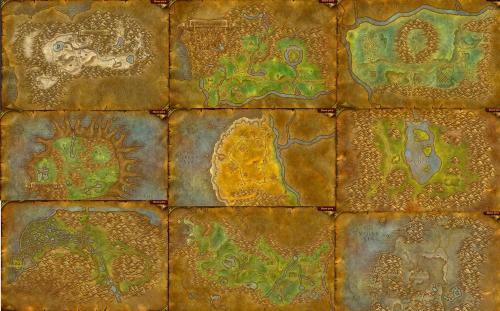 That being said, other players could find it long, it really depends on your objectives regarding levelling. The profile keeps getting better and better, I can only recommend giving it a go! I guess you can put your navigator in the "Rules" section of ProxyCap so it uses the proxy, register the account on Warmane then uncheck the box on ProxyCap. Okay so I’ve been using this profile for a month now and I have to say it rocks. I only encountered a few bugs and instantly talked to Bambo using his Discord and he answered directly and guided me through the fixes. As much for the quality of the profile as for the quality of the seller, I have to put 5/5. Great job.